Rules -> Please make sure you read them before you offer. You can send me a PM instead of posting here, but I ask you to do this only when you got a good reason. I have a first come, first serve shop. You don´t get an automatic ‘first serve’ via PM. I´ll make sure to check the time. Be reasonable with your offer. I´m aware that I put most of the time fix prices, it is of course still possible to negotiate with me. Only use Pokémon to offer on trades you don´t want back. Lastly give me time to reply. My activity varies a lot. Giving me time to reply is just fair as I give you time to respond to the trade/gift I send as well. 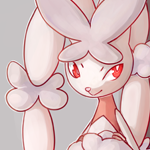 I hunt you a Melan of your choice with few rules to follow! You must however reach the GP value of whatever Shinies/Albinos you want to buy. If the items you offer exceed the GP-value of the Shiny/Albino(s) you want to buy, please take into account that I´m not paying back the difference. 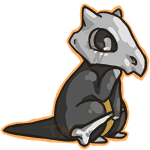 Click the tabs/images above to see available Shinies or Albinos along with their prices. Note: The moment you bought them, they are yours. You may do whatever you want with it. Please refer to me as Cynda or Cyndalavosion, when you make an offer. If you do not address me then I won't know you would like to trade. Please link the pokemon, when offering on one of my specials, if you would like a specific one. Prices: All I ask is you offer at least 60zc/300gp/300k credits per summon. That is the price of seals (the zc price at least), and thus my price. I do expect, naturally, that you offer more if a summon is in a higher demand. Alternatively, I will take swaps for other summons, but please make fair offers. Shiny Prices- 100zc/500,000 credits/600gp/1 x60 DCP Pack/1-2 random summons Albino Prices- 250zc/1,250,000 credits/1500gp/5 Fire Feathers/3 x60 DCP Pack/2-5 random summons Available In Fields! Shiny Prices- 50zc/250,000 credits/250gp/1 random summon Albino Prices- 100zc/500,000 credits/500gp/1 x60 DCP Pack/1-2 random summons Available In Fields! Hey Karakara! Can I buy your albino litleo :3? Hi Seleknight of course, I´ll set up the trade.